Two men and three women from Merseyside have been arrested, and cigarettes and tobacco seized, during raids by HM Revenue & Customs (HMRC) officers. More than 45 kilos of illegal tobacco and approximately 185,000 illicit cigarettes were seized, as well as about £32,000 in cash, during searches at two domestic premises, two shops and an industrial unit across the Wirral on Wednesday (13 July). 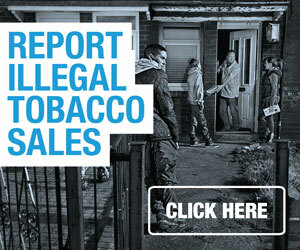 The tobacco products are worth an estimated £40,000 in unpaid excise duty and VAT. “This operation was designed to not only tackle the ongoing problem of illicit tobacco sales but also to send out a clear message to business owners in the region that HMRC will actively pursue those who ignore the rules on the supply and sale of duty free tobacco goods. “The evasion of excise duty is a criminal offence, at the expense of the taxpayer, which is taken seriously by HMRC. 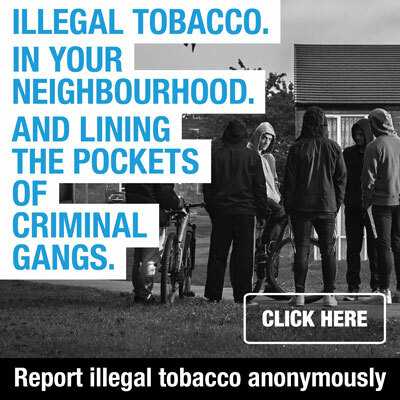 Anyone caught with illicit tobacco will not only have their goods, cash and vehicles seized but they can be prosecuted, meaning they could be looking at a prison sentence. The cigarettes and tobacco were a mixture of non-UK duty paid (smuggled) and suspected counterfeit product. Enquiries are ongoing into the seizures.